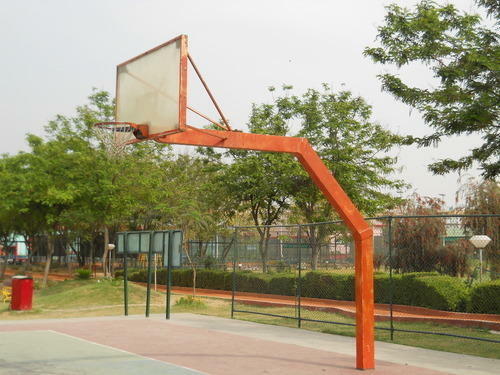 We are offering Uma-902 Basketball Net to our client. ‘Uma Decent Lighting’ commenced its business operations years back in the field of manufacturing, supplying and exporting of all kind of Play Ground Equipment , Play Systems, Kiddies Range, Slides, Multi Play Stations, Baby trains, Seesaw, Swings, Climbers, Revolving etc. Owing to our financially stable position, we have been able to get best of technology for manufacturing the products. Practicing ethics & principles of the profession, we remain honest in our deals. Our primary objective is provide appropriately developed and safe playground equipment, which offer children a good positive experience in the environment. Our wide clientele in the national market and Indian Subcontinent have made us the topmost choice of our customers. This effort has now enabled us to offer our clients the widest range of well designed and safe playground equipments.